Here on the EXAIR Blog we frequently discuss dead-end pressure as explained in OSHA Standard 1910.242(b). This directive states that the when compressed air is used for cleaning purposes, the dead-ended pressure must not exceed 30 psig. When pressures greater than this occur, there is potential for an air embolism. This animation shows and explains how an air embolism can affect the body. EXAIR’s Flat Nozzles adhere to this OSHA directive. The Flat Nozzles consist of three primary components: the body, the cap, and the shim. The thickness of the shim will dictate the flow and force through the nozzle and can be easily adjusted. The cap slightly protrudes from the body and shim, creating a gap when it is pressed up onto the skin. By ensuring that there is always an avenue for that air to escape, there is no potential for it to be dead-ended. EXAIR’s flat nozzles are available in two sizes: 1” and 2”. Each size has a shim set that can be purchased for adjusting both the flow and force from the nozzle. These nozzles are available in both zinc/aluminum alloy as well as 316 grade Stainless Steel. They can be used by themselves, installed on our Safety Air Guns, or in conjunction with our Stay Set Hoses that allow for easy re-positioning. You may have seen (or used) the plastic flat nozzles that come in a variety of different colors. EXAIR’s flat nozzle is a safe, efficient, and more robust replacement that will maintain a similar airflow pattern at a dramatically reduced operating cost. 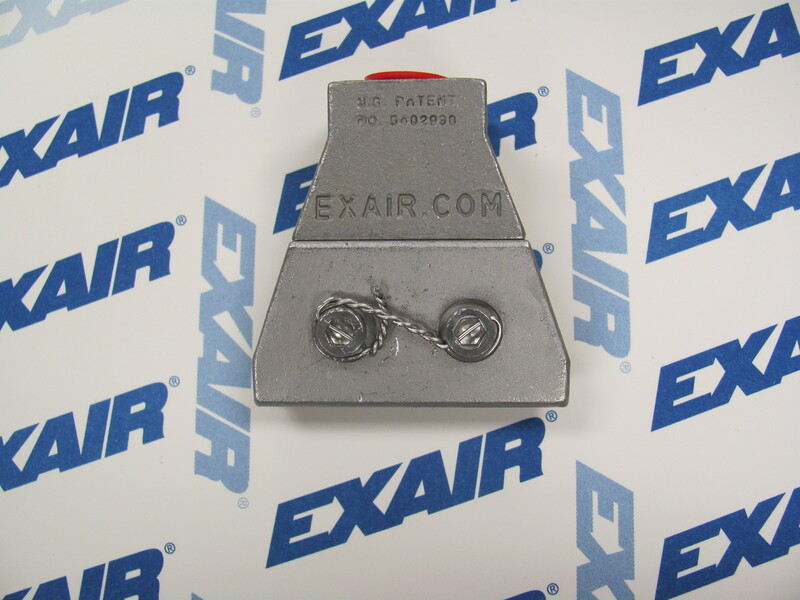 Where plastic nozzles may become damaged or break off, the rigid construction of EXAIR’s Flat Nozzle will not. In addition to be safe, durable, and reliable, EXAIR’s flat nozzles also offer a reduced sound level compared to these styles of nozzle. Reducing sound is another directive that OSHA 29 CFR 1910.95 covers. If you’re using an unsafe nozzle in your facility, OSHA can quickly begin assessing fines for each violation. They don’t announce their visits beforehand, so make sure you do your due diligence and assess your compressed air blowoff products yourself! 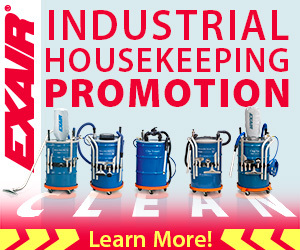 EXAIR 2″ Flat Super Air Nozzle “blows” away the competition! If you would like to discuss how to make your compressed air use safer and more efficient, give us a call. Our team of highly-trained Application Engineers is standing by, ready to help you make the switch to an Intelligent Compressed Air Product. Custom Air Knives, Custom Vortex Tubes, Custom Line Vacs. What About Custom Air Nozzles? 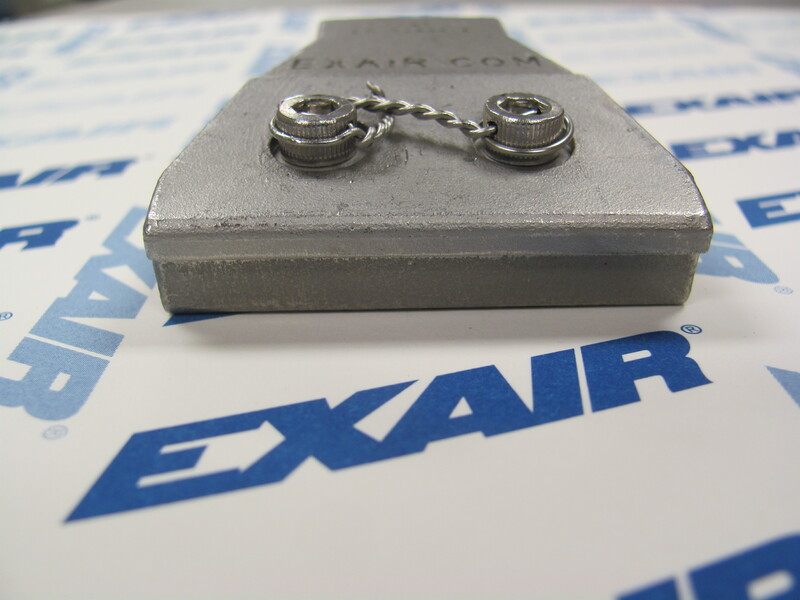 At EXAIR we are far from shy that we offer custom solutions. As a matter of fact, almost every catalog section has a handful of pictures that are special or custom units that we have made for our customers over the years. We continue to add special items to our database regularly. This could be anything from a special length Super Air Knife, a Vortex Tube with a special fitting or temperature setting, sanitary flanges on a Line Vac, or even most recently, a special 2″ Flat Super Air Nozzle. A closer look at the Safety Wire that holds the bolts from backing out. This Special 2″ Flat Super Air Nozzle came from the customers requirement to use a mechanical fastener in order to ensure all hardware will not back out or come loose. The 2″ Flat Super Air Nozzle is already held together by two button head cap screws that are thread locked into place in order to prevent them from loosening. This customers requirement was not met by our standard procedures, so we stepped outside of the box yet again and have offered them a special 2″ Flat Super Air Nozzle with bolts that are held tight by safety wire. Safety wire is a very popular practice in Aerospace, motorcycle racing, and even some packaging processes. 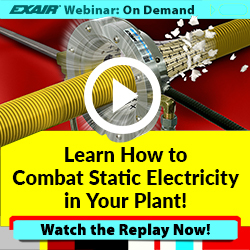 The Stainless Steel wire is twisted and wrapped around the bolt heads in a manner that will not permit either bolt from loosening and falling out. However, it can be removed, the nozzle can then be cleaned, and the safety wire can then be replaced for preventative maintenance needs. If you are in the need for something that you don’t directly see in our product offering, or maybe you simply need something like a bolt style changed. Contact us and see what we can do for you. Chances are, we will meet your needs with ease and even be in a timely fashion.